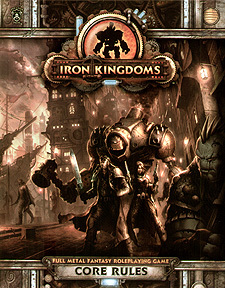 A long time ago, indeed almost before Warmachine was originally released Privateer press did a RPG for the world of the iron kingdoms which for the uninitiated is where Warmachine et al is based. They used the D&D 3/3.5 OGL and frankly it was a bit disappointing too much to me like generic D&D with the warjacks & other technomagic bolted on. Well now they have redone it using a custom built system which from what I have seen of it feels much more like it fits the wonderful background they have now built up its out soon & will be avalible form our favourite games store here is a preview. Definitely count me in for this! The demo pack should be available very soon according to PP. I will have to lurk around the Privateer forum & web site a bit more but failing that I know the background well enough I think to run something off the top of my head. I a presently playing with the Character generation rules which remind me a lot of first and second edition WHFRP but some what more flexible. The end result of this will be a selection of pregenerated characters suitable to do a demonstration run through with. I will report back in detail when I have got some more work done as I do need to do that first. 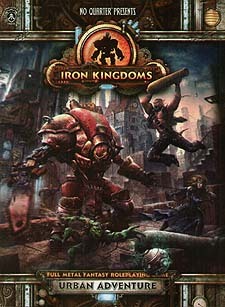 I also now have the official intro/demo rules, thank you Jacasta, which is dead useful even if I run my own scenario as the quick starter rules are invaluable helping players learn the rules especially for combat which whilst not the most rules heavy area is a place where knowing what you character can do is a particularly good idea. I will post a more detailed review when I have picked it up.